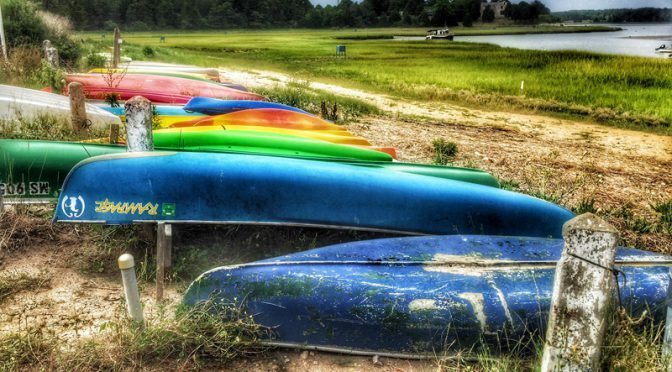 There were lots of canoes and kayaks in the water and on land at Hemenway Landing in Eastham on Cape Cod. What a great place to launch your canoe or kayak and paddle out to Nauset Spit. It doesn’t get much prettier! But be careful of the tides and the channel markers so you don’t get stuck in the mud at low tide! 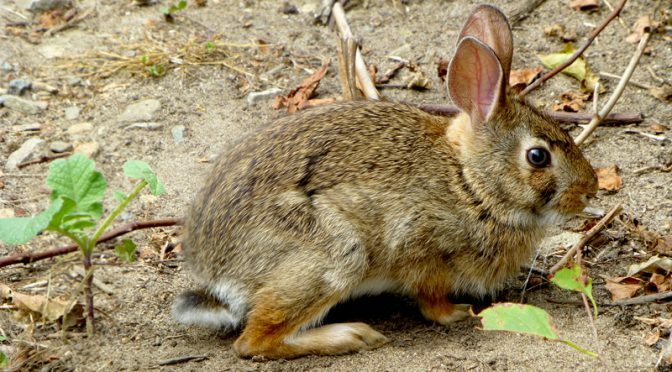 This cut, little baby bunny was just munching away along on the trail at Fort Hill on Cape Cod. I did not faze him at all. He would look at me and munch away. I was so close that I had to step back to get a good photograph. 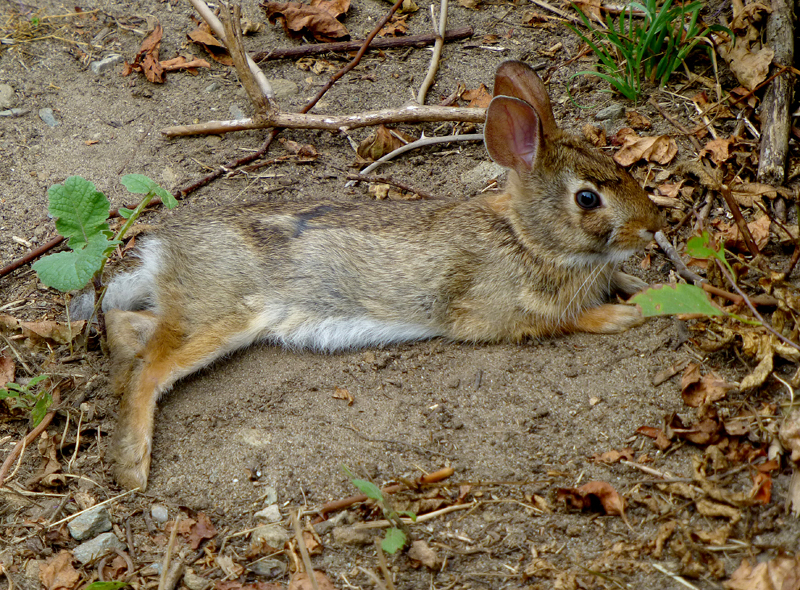 After he finished eating, he lay down on the trail to take a nap while I clicked away. 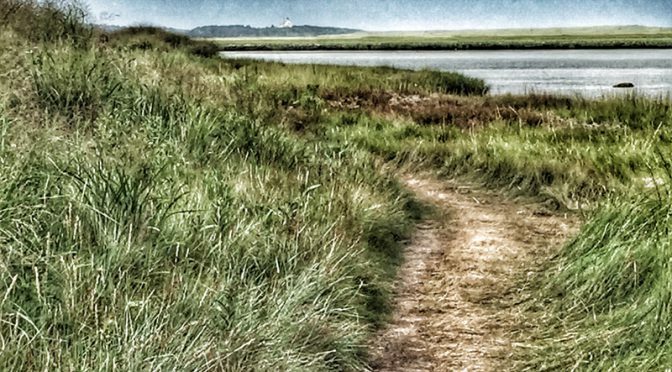 One of my favorite trails at Fort Hill is the trail that goes right down to the marsh. It is so pretty. You can see the birds and the boats and people clamming at low tide. You can even see Coast Guard Station in the background. Pretty view, don’t you think? 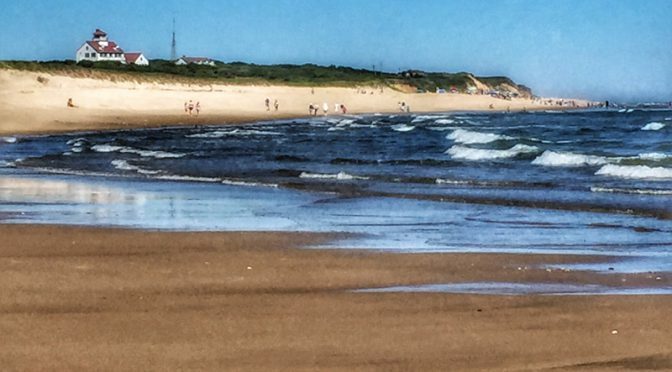 We took a walk on Coast Guard Beach on the National Seashore on Cape Cod. It is truly one of the prettiest beaches that I have ever seen. We walked all the way out to Nauset Spit which is where the water breaks through the beach and goes into Nauset Marsh. This opening changes frequently as the sand shift under the ocean water. We turned around and looked back and could see why Coast Guard Beach was voted as one of the Top 10 Beaches in the USA! Just spectacular! I took a hike at Fort Hill on the National Seashore just to look for wildflowers and butterflies. And boy, was I lucky! There were Monarch butterflies everywhere! I must have taken 200 photographs! 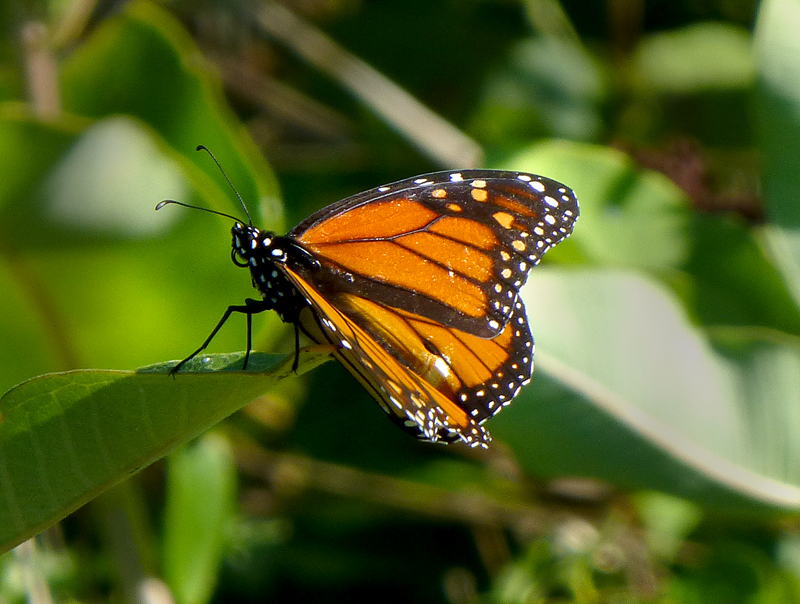 The Monarch butterfly’s wingspan is 3.5-4″ and orange with prominent black veins and borders. I loved all the polka dots on its body. They feed on milkweeds which abound at Fort Hill. 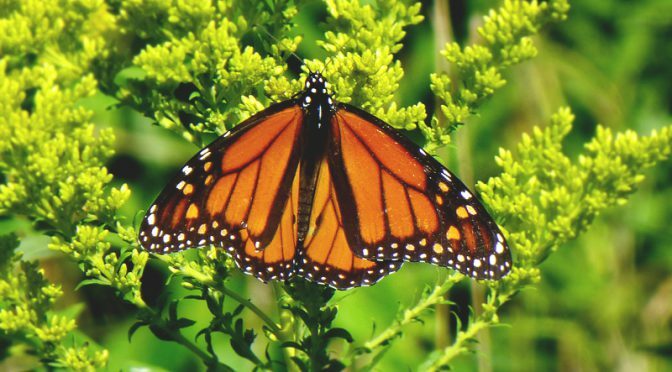 The Monarch butterfly is so well known that there are attempts underway to designate it as the national insect of the United States. That would be so cool! 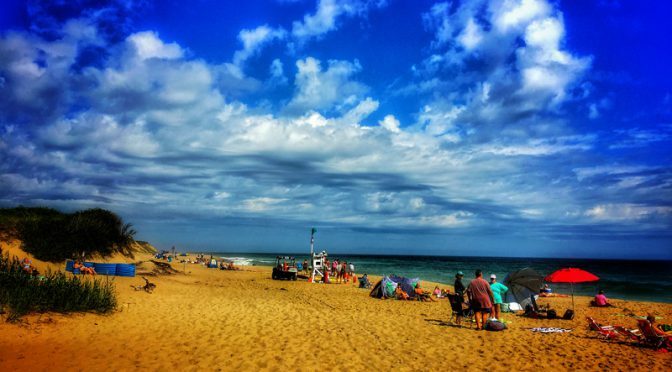 Labor Day weekend at Coast Guard Beach on Cape Cod was beautiful before the storm when they had to close the nearby beaches because of the rip tides and unsafe swimming conditions. What a perfect way to spend Labor Day weekend!